Was SmackDown Live better than yesterday's Raw? Not really. But it definitely wasn't a bad show by any stretch of the imagination. SmackDown accomplished some important things over the course of the night. Let's hit the big spots of the show. To start off, SmackDown utilized a lot of the different camera shots that Raw did, but went in a different direction with its hard cam. It focused in closer to the ring and overall gave a fresh, unique look to the action. The graphics were cool and as always, Mauro Ranallo was excellent from the announce desk. 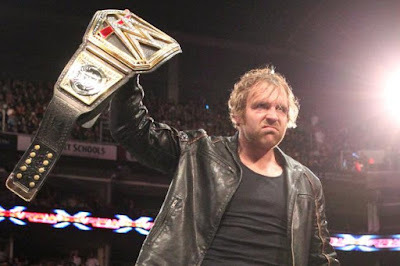 The was built around crowning a new number one contender for Dean Ambrose's WWE World Heavyweight Championship. Shane and Bryan announced that it would be decided in a six-pack challenge main event between John Cena, Dolph Ziggler, Bray Wyatt, Baron Corbin, AJ Styles, and a to be determined sixth participant. It was announced that there would be a battle royal to open the show to decide the sixth entrant. The battle royal ended up being fun and eventually Apollo Crews won it. 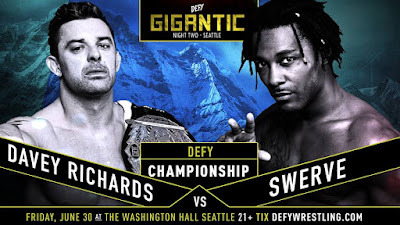 Crews looked awesome in the match and instantly was made out to be more of a threat on this show than he has since his call-up. Becky Lynch beat Natalya via submission. Lynch needed the win and in turn was positioned as the top star of the SmackDown Women's Division. From there, each member of the division came out and cut a short promo to introduce the full roster. This was a smart move by WWE. They showcased their whole female division in one night without wasting a ton of time. It helped get eyes on the arrivals of Alexa Bliss and Carmella. I don't like the brand split in relation to the Women's Division, but if this is the direction they're going to stick with, they've put their best foot forward. Miz did Miz TV and honestly, it was kind of boring. But to be positive, Miz got to establish himself as the heel champion on the show. Randy Orton ended up facing him and they proceeded to have a match rich in story. I really like this match for a couple reasons. One, it showcased Randy Orton as a super-over babyface. Two, they told a story that directly builds to his match with Brock Lesnar. Miz worked over Orton's bad shoulder, the same shoulder that kept him out of action for nine months. This really got over the danger Orton will be in when he takes on Lesnar at Summerslam. They were on the outside, Miz tossed Orton in, and out of nowhere, Orton hit the RKO. He milked the reaction, hit one more RKO, and then pinned Miz for the clean win. Again, this directly built to Summerslam. Though Orton's shoulder does not appear to be 100%, he can still hit his finishing move from seemingly any angle. Loved this match. Heath Slater hit the ring and seemed to have enter from through the crowd. He cut an awesome promo and really got the crowd behind him when speaking of his outrage that he wasn't drafted to either show. It was awesome for Slater in that he was able to show everyone that he can cut a good promo and has value on the roster. Rhyno emerged in a surprise appearance, goring Slater. It was an exciting segment and the first of many expected wrestler returns. Since we're on the subject of returns, a vignette aired early in the show for Shelton Benjamin's return to WWE. It's a great move in that he's a familiar face that is synonymous with exciting in-ring moments. 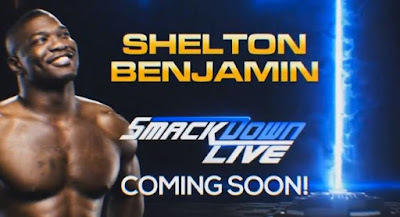 SmackDown needs more depth and Benjamin will be a great asset. The main event did not disappoint. Corbin and Crews fit right into the fray, while Wyatt, Cena, and Styles all did what everyone expected from them. The big star of this match was Dolph Ziggler. Earlier in the show, a promo from Ziggler aired where he talked about how he always tried to steal the show but he lost his way. He didn't quite accomplish what many thought he would. He announced that this was a new era and a fresh start for him in WWE. Well, Ziggler put in his usual gutsy performance and won the match with a superkick on Styles. The only negative of this result was that AJ took the pin. I'm not a fan of 50/50 booking, though if AJ beats Cena at Summerslam, this loss won't hurt him. To defend the finish, the situation was so fast paced that AJ was really taken advantage of. In short, it was a squeaky clean win. Nonetheless, this was huge for Ziggler and in the long term, huge for the show. No matter what you think of Dolph Ziggler, there's something we all have to understand. He was robbed of a heavyweight title reign when he suffered a concussion and was buried time and time again for reasons that have never really been explained. He was the star of the 2014 Survivor Series and then was promptly pushed back down the card. The guy never phones it in and is arguably in the top five in terms of selling in the ring. He has a lot of star power in my opinion and deserves to be in a much higher spot on the card than he currently resides. The first post draft SmackDown may not have been as exciting and instantly impactful as yesterday's episode of Raw. But realize that the impact of this show deals more with the long-term success of the brand. Crews shined and has a future. Benjamin will debut soon with immediate impact. The anticipation for American Alpha is in motion. Ambrose wasn't used just for the sake of using him. Ziggler was showcased as a bigger star than he was on Raw. All of these are important to SmackDown weeks, even months down the line. Maybe the show wasn't as newsworthy as Raw, but it was a smart, efficient use of talent. SmackDown will build on this night as the weeks go on and has the potential to grow into something very special. The first Monday Night Raw of the "New Era" marked a night that no one will be able to forget. From top to bottom, this show was filled with great moments and clear-cut proof that WWE is making a concerted effort to change its way of doing things. Let's hit the top stories. 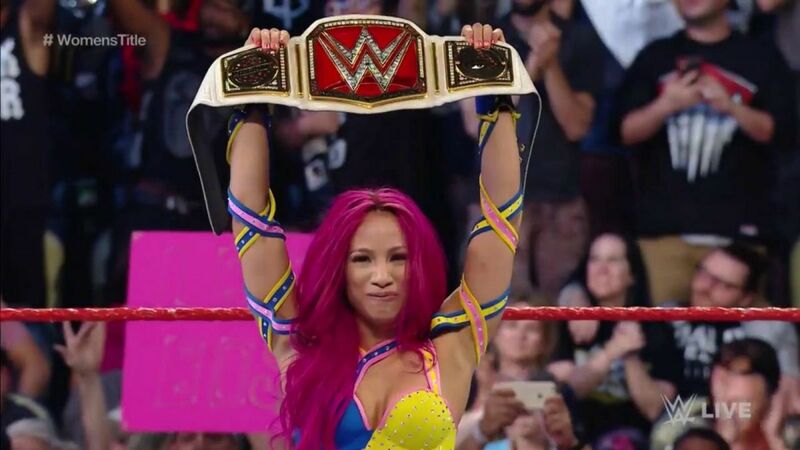 It was very surprising that WWE decided to go ahead and switch the Women's Championship before Summerslam. Regardless of that, Banks and Charlotte had a good match. It wasn't perfect by any means, but the context of the win is what made it so special. After winning the title, Banks was interviewed in the middle of the ring. The fans gave her a great ovation, chanting "yes" and "you deserve it." Sasha was emotional, but composed herself and delivered a great promo. This signified the true rebirth of women's wrestling on the main roster. It'll be interesting to see where WWE goes for a Summerslam program. Seems likely that the rematch will take place there. After Balor won the first fatal four-way match to advance in the show's mini tournament, you had to wonder if WWE was going to give him the win. Personally, I bit my nails all night praying that they'd seen the light and wouldn't beat him on his first main roster show. To my surprise (and many, for that matter), Balor got the clean win over Roman Reigns to set up the main event of Summerslam. The first ever WWE Universal Champion will be crowned on that show. Balor's win tonight signifies that WWE has seemingly turned a corner. Reigns has now lost three straight matches clean. Before his 30-day suspension, this would have been unimaginable. Instead of going with the same old routine, WWE made a star over the course of a single Raw. Balor looked magnificent and beat one of the company's top stars. He was made legitimate instantly and appears to be a great threat to Seth Rollins at Summerslam. Got to tip the hat to WWE on this one. They really came through and surprised me in a very positive way. As for Reigns, the company has to be careful. Though things haven't worked out for him as they had planned, they can't completely give up on him. He needed to lose tonight, but look for him to bounce back in a lesser role on his journey to reclaiming the top spot in the company. As a whole, Raw just flat out felt new. We got a ton of new camera shots, much improved commentary, less talking segments, and consistent, sensible booking. Angles were set up, such as Gallows and Anderson challenging The New Day for the Tag Team Championships. Enzo Amore and Big Cass looked strong. Corey Graves seamlessly slid into his new announcing role, which was a much needed improvement to the show's commentary team. Hell, we even got a couple squash matches. Let's be real here. Squash matches are important. Arguably, WWE's biggest issue over the past year has been 50/50 booking. Trading wins and losses has resulted in a huge roster of wrestlers that all seem the same in terms of positioning. Outside of a small handful of people, no one comes off as a star. Tonight was very different, though. Nia Jax had a strong showing in her squash match. It protected her and her lack of experience. No one in the current Women's Division had to take a pointless loss to accomplish that. Braun Strowman also benefitted from the same type of situation. He debuted a new look that had to have changed many people's perception of him on the surface. It remains to be seen if he'll be able to put together the ring work, but this is a great start. If WWE keeps its booking on this kind of consistent level, they'll be able to create way more stars than they have in recent memory. WWE hit a grand slam tonight. This really makes SmackDown Live destination television tomorrow evening. After all, it's supposed to be a competition. Expect the first "New Era" SmackDown to swing for the fence in response to a high-quality Raw. Things are really looking up in WWE. It's going to be an exciting and interesting ride. Whether you enjoyed the 2016 WWE Draft or not, it can certainly be argued that it lacked excitement. The draft didn't necessarily excite fans to look toward the future impact that it would have. Specifically though, there was a lapse in logic that underlined the event. Before I start the rebooking process, I need to make one thing very clear. It it very easy to sit back and nit pick the mistakes WWE makes. I am in no way directly affiliated with the business of professional wrestling/sports entertainment. These are simply ideas that myself and my friend, Esai Saldana have spoken about. 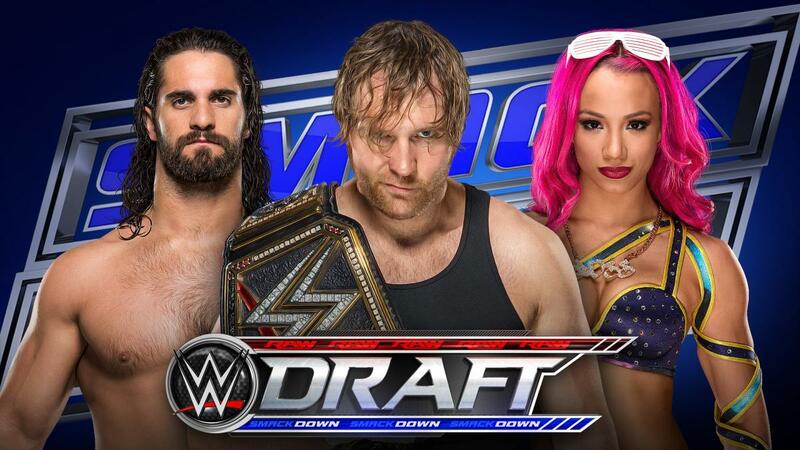 To redraft, we've edited some of the NXT call-ups but used the real WWE Draft list. We also used the same picking format that we saw last Tuesday on SmackDown. With that being said, let's rebook the draft, beginning with some guidelines dealing with NXT call-ups. At some point on Raw, William Regal (In some kind of taped segment) would explain that NXT cannot be a victim of the WWE Draft. Regal says that he will allow the main roster to make six acquisitions as long as they have been signed to an NXT contract for at least one year and are not currently a champion. Tag teams will still count as one acquisition. The first phase of this scenario begins after Mick Foley and Daniel Bryan are named as GM's. Daniel Bryan's first move is to announce that SmackDown is launching a Cruiserweight Division. Stephanie McMahon is obviously annoyed that Bryan and Shane have made the first big move of the brand split. Later in the show, Steph expresses that she will not be showed-up on her program and states Raw will also get an exclusive division. Stephanie demands that the Women's Division be exclusive to Raw to make things even. The two sides decide to make an agreement. -Cruiserweights are now exclusive to SmackDown and female wrestlers are now exclusive to Raw. 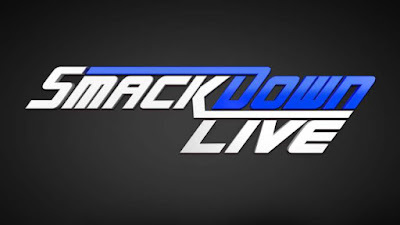 -Male wrestlers 205 pounds and under will negotiate with SmackDown if they wish to participate in the division. They will also be allowed to wrestle for other titles on SmackDown, but are also eligible for the Crusierweight Championship. -Female wrestlers can only sign with Raw. There are now 12 women's wrestlers going to Raw and 3 cruiserweights going to SmackDown. Since Bryan is going to sign both former talent and current talent from the Cruiserweight Classic, 12 to 3 is not as uneven as it appears. Bayley and Bliss count as two of the NXT acquisitions, though they are not draft picks. Regal specified six acquisitions, not necessarily draft picks. -Finn Balor, Tye Dillinger, American Alpha, and Mojo Rawley make up the remaining four NXT acquisitions. In any scenario, there will eventually be a major championship created for one show opposite of the WWE Championship on the other. That would give each brand three exclusive championships (WWE, IC, W's / WHC, US, CW) with the tag titles bouncing between each shows. If SmackDown is supposed to be the new, fresh show, they should have the revived Cruiserweight Division. There will be new faces and some familiar ones that will create an excitement unique to the brand. Daniel Bryan's wrestling style is synonymous with the cruiserweight's. He is also commentating for the the Cruiserweight Classic. Why would this not be his idea? It explains the launch of the division and how he had the resources to sign more talent to participate. In our current real life timeline, we know that Kota Ibushi will join the division. With him as well as the speculated signings of Cedric Alexander, Zack Sabre Jr., TJ Perkins, and Gran Metalik, the agreement appears to be fair. In this fantasy timeline, they will be allowed to sign with SmackDown because they're not under an NXT contract, thus the one-year of service stipulation does not apply. Having the Women's Division on Raw would far outweigh any of the positives of splitting them between two brands. Yes, half on each show would allow them to shine more often. The issue is depth and longevity of feuds. Though in theory mid-card women would be able to move up, about six women on each show would run it's course in a matter of months. You can't add another Women's Championship because of the lack of depth and capable workers. In the fantasy scenario, all the women on one show makes them a special attraction and protects the value of the championship. As the women's division expands there may come a time when they need to be divided. When that day arrives, they should have their own draft unique to the division. The tag team division is the tough part in all of this. Yes, the tag team division will be thin because they're split between the two shows. Consider this: more than likely there will only be one tag division match per show, per week. The champions will have to be responsible for being on both shows at certain periods. This division will require more inter-promotional matches to keep things fresh. Scenarios involving number one contender and championship matches are examples. In this draft scenario, Luke Gallows and Karl Anderson go to SmackDown, keeping The Club intact. To get to AJ (heel) vs. Balor (face), we'll have to wait for one of the big-four cross-branded PPV's. Let's say Gallows and Anderson cross paths at Summerslam. It's a Bullet Club reunion where they pal around and reflect on the fact that the three made it to WWE. Then let's say they meet up again at Survivor Series. At this show, AJ expresses a hint of jealousy that the Club is so preoccupied with Balor, but they make it clear to AJ that at the end of the day they're loyal to The Club. Fast forward to the Royal Rumble. Balor explains to Gallows and Anderson that even though they're friends, he's fighting to win the Rumble match. In the match, The Club is in the ring and it is clear that Gallows and Anderson are helping AJ along as the match goes on. 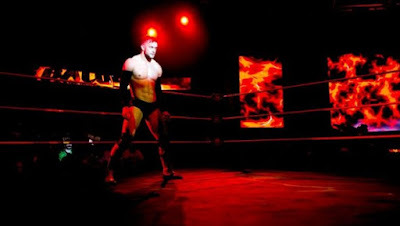 Balor enters the match. He tries to eliminate AJ, but Gallows stops him. Gallows tries to argue with Balor, but Anderson attempts to attack Balor. Balor cleans house and eliminates the two. Then AJ strikes. They have no ties other than their mutual connection to Gallows and Anderson. Balor eliminates AJ, but does not end up winning the match. This sets up AJ vs. Balor moving forward, which is a feud that should culminate at WrestleMania 33. Balor beats AJ at 'Mania. After AJ's loss, either in the ring at 'Mania or Raw the next night, Shinsuke Nakamura debuts on the main roster to challenge AJ. In this fantasy draft, we've chosen to separate Kevin Owens and Sami Zayn. Yes, Owens and Zayn have had a great feud, one that started well before WWE was in their sights. They absolutely must cross paths again in the future. Here's an example of how this could work. Let's say Owens, at some point, becomes the major champion of the Raw brand, months or year removed from this brand split. As Owens cuts an in-ring heel promo to gloat over his win, Zayn emerges to challenge him after being traded to Raw earlier in the day. You could get even more creative if Zayn wins a Money In The Bank ladder match. He could cash in and steal the title during Owens' promo. This all depends on how MITB would be handled post brand split in which, there are many acceptable options. This one can go a million different ways. The point of it is, distance makes the heart grow fonder. Zayn and Owens have had an awesome program. Just think of how much better it could be if both go their separate ways, win titles, have more high-profile matches, and then end up crossing paths again. They would both evolve into even more accomplished wrestlers but it would all lead back to the feud that has defined their entire careers. Bayley's arrival into a Raw exclusive Women's Division will immediately position her as a top babyface. She would first be the surprise partner of Sasha Banks at Sunday's Battleground to take on Charlotte and Dana Brooke. They would go over with Brooke being pinned. Sasha heads to Summerslam and beats Charlotte for the Women's Championship, while Bayley beats Dana Brooke on the same show. Bayley could then enter a feud with Charlotte directly. After Bayley defeats Charlotte and makes it clear she's the number one contender, Banks turns heel to feud with Bayley, building towards a big championship showdown in a renewed NXT rivalry. In the fantasy scenario, Nia Jax is not on the main roster. But for the sake of the Banks/Bayley angle, Jax could be brought up to serve as Banks' heater, thus stretching out the build to the title match. With all angles included, this scenario could last from Battleground all the way to Wrestlemania 33. Once Bayley defeats Banks for the Women's Championship at 'Mania, the stage is set for Asuka to join the main roster and challenge for the title. In wrapping this up I must reiterate that I am in no way attempting to say that I have all the answers to WWE storylines. Again, I've never worked a day in the business of professional wrestling. Esai and I are simply illustrating what we would've liked to see happen in the draft as well as the angles resulting from it. And who knows? Maybe WWE has a much grander vision than what we saw at the draft last Tuesday. Only time will tell. We will have a much better idea of the impact of the draft six months or more down the line. Regardless, our fantasy draft really shows that there are many ways that this thing could've gone and many ways for it to go as a result. Same goes for what we have in reality. There's still the chance that we see the return of a guy like MVP or Curt Hawkins. 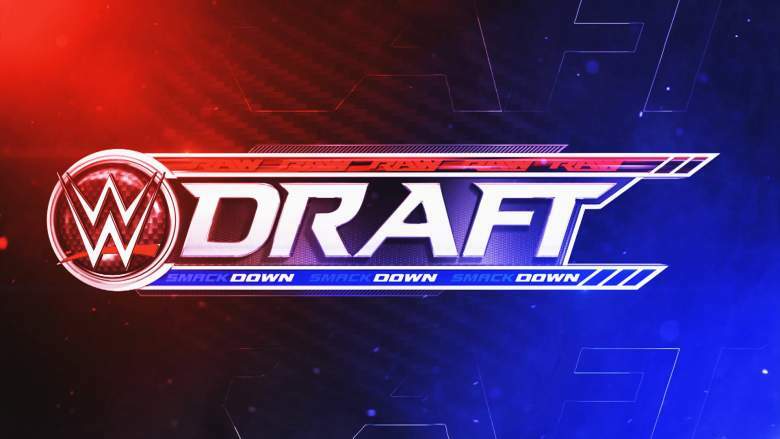 Though the WWE Draft may not have gone exactly how we had hoped, there are still many routes WWE can go in the coming months. Angles and additional draft scenarios were created in collaboration with Esai Saldana. Tonight's WWE Draft left many scratching their heads. Some good things came, but a lot of bad resulted from the first live SmackDown of the new draft era. Before I begin the burial, let's talk about the great things that went down tonight. Finn Balor. Drafting Balor in the first round was the best move WWE made all night. He was immediately presented as a star and a valuable one at that. Gallows and Anderson were also drafted to the Raw brand, leaving the door open to reunite the former Bullet Club members. American Alpha's call-up was also positive. They've proven to have a special kind of charisma and excellent wrestling talent. They're a much needed breath of fresh air for the tag team division. Sami Zayn and Kevin Owens' feud looks like it isn't going to end anytime soon, and that's a great thing for fans of WWE. The two have had so many classic moments and matches from the independents to World Wrestling Entertainment. The fact that WWE made a conscious effort to keep them together is progress. It was fantastic to see WWE value their Champion, Dean Ambrose by making him the first overall pick to the SmackDown brand. Many fans were gritting their teeth in worry that he'd lose the title by the end of the show, but luckily, he retained in a clean win over Seth Rollins (Raw's number one pick). The overall positive thing about this draft is at the very least there is more room to push high, mid-card wrestlers more than they would within one combined roster. Guys like Kevin Owens and Cesaro now have a bigger window open to succeed at a higher level. Now brace yourself. It's time for the negatives. The logic of the WWE Draft has left me in a state of utter confusion. After the first round, I was lost. Think about it like this: If the draft is supposed to appear to be a shoot, then why would a team like The Ascension be selected before The Dudley Boyz? Also, if there's a limit of six NXT call-ups that can be drafted, why wouldn't you pick the champions? If that wasn't allowed, we should've been told this. Champions aside, how could a competent general manager justify drafting Nia Jax early and not selecting Shinsuke Nakamura or Bayley, or Asuka at all? It's mind boggling. The Women's Division was the biggest victim of the draft. We now have seven women on Raw and six SmackDown. Keep in mind, there's only one belt. I'm not sure what they're thinking here. They've drastically limited their possible matchup total with this move. Not only that, but outside of Alexa Bliss, Nia Jax and Carmella do not appear to be ready for the main roster. I have nothing against any of the NXT call-ups, but I can't imagine how prepared Jax and Carmella are for the spots they're about to fill. I'm hoping and rooting for these women, but the whole division was not done any favors. I need to be explained why the Cruiserweight Division has been placed on the Raw brand. If SmackDown is supposed to be the new, hip show, wouldn't they get the revived division? That question aside, why is Kalisto on SmackDown if the cruisers are on Raw? I'm not very excited in general that the division is back. I love that style of wrestling, but WWE has proven that the cruiserweight tag more often hinders a performer than helps one. But that's an entirely separate article. To sum up all the negatives, it's clear which brand was favored coming out of this draft. Raw's roster was going to be larger. That was expected. But as you run down the names that have moved to SmackDown, it's clear that it's still in many ways the "B" show. The top names of the women's division are on Raw. They have the cruisers. They have Rollins, Reigns, and Lesnar. Without Styles, Ambrose, and Cena, SmackDown would be in horrific shape. It's hard to make an argument that the WWE Draft helped make both shows equal. No old names returned, either. Maybe they're saving them as "signings" to continue the storyline. We'll have to wait and see. But if the goal was to present this draft as a shoot, it was a complete failure. There were far too many illogical moments for that to be the case. As it stands right now, the draft was not a success. Obviously, we're going to have to wait a few weeks to truly understand the impact of this draft, both positive and negative. Regardless, this was an interesting first chapter to a "fresh start" for the Raw and SmackDown brands. The show opened with Stephanie and Shane McMahon naming their shows' general managers. Steph introduced Mick Foley, who came out to a fine ovation. Foley cut a promo stating that he was ready to do his job to the fullest, but delivered it with a serious undertone. Foley really gave off the impression that another side of his character may emerge, certainly different than his original run as the Raw Commissioner years ago. Shane introduced his GM, the returning Daniel Bryan, to a thunderous pop. The crowd went wild for Bryan. Bryan cut a babyface promo setting up his character's role on SmackDown. To be completely honest, this show started off hot and slowly became less and less interesting as the night wore on. The 12-man tag match was fun and had entertaining entrances and promos. After that, we saw a lot of unimportant matches that served little purpose. Instead of burying the middle two hours of this show, let's just move on. One of the few important segments of the middle portion of this show was a backstage encounter between Foley and Bryan. They exchanged words expressing their respect for one another, but Foley took the tone of the conversation in a different direction. He explained to Bryan that he saw drive and determination in Stephanie and that he was ready to make Raw the best show it could be. He told Bryan that they were each representing their respective shows, and "Let the games begin." This was a well done segment and set the stage for future interactions between the two in their new roles on-screen. The WWE Championship had some great stuff, but the crowd was dead at this point. Rollins and Ambrose turned out a solid Raw title match. The match ended after Rollins hit a superplex on Ambrose, but Ambrose hooked Rollins' leg after impact. Both were in a pinning predicament and the referee counted three. The crowd was basically silent for the finish, as many were perplexed as to what exactly happened. Stephanie declared Rollins the winner, but it was obvious that we were looking at a draw situation. It was later announced on the WWE Network that the match was ruled a draw. It looks as if the finish of the WWE Championship match was the company's way of creating another title for the SmackDown brand. Tonight's episode certainly wasn't the best, but it did do a decent job in setting up the brand feud and saved the big moments for tomorrow's draft. Expect SmackDown Live to be a much more exciting show. Raw has the first overall pick. Since SmackDown Live is a two-hour show and Raw is three hours, for every two picks SmackDown Live receives, Raw will receive three picks. Tag teams count as one pick unless a Commissioner/General Manager specifically only wants one member of the team. Six draft picks will be made off the NXT roster. In addition to the listed rules, WWE has listed a roster of singles wrestlers and tag teams, with singles wrestlers divided by gender. Absent from the singles list is the Undertaker, which opens up speculation on his future with the company. Obviously, this could be because of the fact that he wrestles the most limited schedule of any performer in the company. Brock Lesnar, however, is eligible for the draft. Let's hit the positives that come out of this. Tag teams. Thank goodness there are rules that add hope that most tag teams will not be broken up. Though there is no guarantee that every tag team will remain intact, hope is there. The fear is still apparent that WWE will deem someone ready for a singles run even if that really isn't the case. I guess we'll find out. Only six NXT wrestlers will be brought up to either Raw or SmackDown. Six call-ups somewhat insures that NXT will not become a victim of this situation. In theory, gutting NXT of most of its top talent could be bad for WWE as a whole. There are veterans at NXT that are valuable to the growth of younger talent working along side them. To bring up more than six (Possibly more depending on the number of tag teams) NXT wrestlers could make it easy for new call-ups to get lost in the shuffle on either of the two shows. Hopefully WWE has done their due diligence in determining which NXT wrestlers are truly ready for a spot on the main roster. There's another way to look at this call-up situation, though. If WWE is presenting this draft as a shoot, then how could a general manager justify not drafting Shinsuke Nakamura or Samoa Joe? If the goal is to draft the best wrestlers possible and at least six people from NXT can be picked, you're basically obligated to draft the current champions from developmental. NXT has actually made enough signings to stay strong (Bobby Roode, Eric Young, Austin Aries, Kota Ibushi, and some of the other Cruiserweight Classic competitors). We'll have to see how the company plays this one. Alright, time for the negatives. I'm a bit back and forth on this one, but I'm going to discuss it anyway. I think splitting the women is a bad idea. Assuming that there's only going to be one Women's Championship (there's not enough women to justify a second belt anyway), why split such a small roster? There are only ten women listed as eligible to be drafted. One or two of the NXT selections will certainly be women, so we're looking at about five to seven women on each show. WWE is really limiting the different match-ups in its women's division. My fear is that the non-title angles will come off as unimportant compared to the main title angle that will be taking place on one show for a period of time. Cutting such a small division in half doesn't appear to be the right thing at this stage of women's wrestling in WWE. This issue speaks for the tag team division, as well. Let's take moment away from the rules. 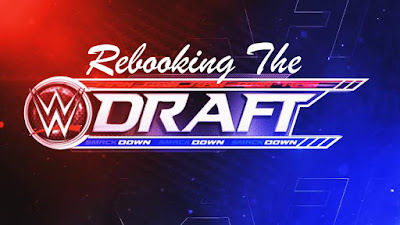 When taking into consideration all of the booking issues that the draft could create, we must also consider the amount of WWE programming that will result. We will not be getting (in theory) five hours of important weekly content between Raw and SmackDown. We will also get pay-per-views for each show. That's a lot of extra content and an enormous amount of time that a fan will have to invest in the product. For diehard fans, this is not a problem. The issue is that WWE has ran off most of, if not all of the casual viewers. It would be hard to make an argument that the casual fan would be willing to watch both Raw and SmackDown and then watch a three-hour special event on a Sunday. WWE's creative department seems to always be under fire, so imagining quality programming on an even larger scale is a tough proposition. WWE has an incredible challenge ahead of them. They must make SmackDown important, that's the obvious. But straight away Raw is recieving the first pick and getting more talent in terms of quantity. Yes, it's a three-hour show, so in those terms it makes sense. But for Vince McMahon to clearly state that Raw is the "flagship show" last Monday seems to illustrate the mindset that's been in the company for years. I agree, Raw is the main brand of the company. But Vince didn't need to put that out there, front and center. It's somewhat of an unspoken fact. Everyone knows it's true, don't beat the point into everyone's head, especially right before a draft that is supposedly making the two shows equal. With a heel Stephanie and a babyface Shane as figureheads, it feels right that their general manager selections need to both be babyfaces. Shane's will certainly be a face. Stephanie's must also be one. If Stephanie opts to pick Triple H as her GM, then what has really changed on Raw? We've seen the heel authority figure angle for years now. It's played out. Time to move on. If the draft is about shaking things up and doing something different, that's your first move. Two babyfaces underneath Stephanie and Shane. We're two days away from what is arguably the most important show in WWE in a considerable amount of time. Our questions will be answered over the coming weeks. This is the company's opportunity to right the mistakes they've made over the past decade, as well as learn from the ones they made in the first brand split. There is great opportunity ahead. WWE must capitalize now, or the consequences could be severe. This past Wednesday's WWE NXT episode certainly seemed to mark Finn Balor's final match before his impending main-roster debut. Balor battled Shinsuke Nakamura, NXT's newest, hottest commodity. Balor, once NXT's biggest star, lost to Nakamura after a hard fought performance. It seemed fitting, as Nakamura seems to have taken Finn's spot as NXT's top babyface. Nakamura is poised to face current NXT champion, Samoa Joe, at TakeOver: Back To Brooklyn later this summer. There's been a lot of speculation on the draft, as well as WWE's plans for Balor on Raw or Smackdown. Many have suspected that he'll meet up with his former running mates in the Club, but nothing is for sure in WWE. Plans change and nothing seems to ever be set in stone. We'll have our answers in the coming weeks. 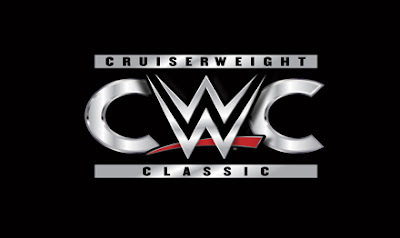 The Crusierweight Classic debuted this past Wednesday on the WWE Network after months of anticipation. There's a ton of reasons to love this show. First, the commentary. Mauro Ranallo and Daniel Bryan completely surpassed the main roster announce team in a single, one-hour show. Ranallo, known for his sports-like announcing style, called the action while Bryan chimed in with analysis and expertise on wrestling style and the competitors' strengths and weaknesses. The show felt fresh and organic. The overall presentation of the show was almost a glimpse of what WWE could be as a whole and in many ways demonstrated the change that the main-roster programs desperately need. Standouts of the tournament include Cedric Alexander, Kota Ibushi, Gran Metalik, Zack Sabre Jr., and many, many more. The WWE Draft takes place this Tuesday, July 19 on the first live Smackdown of the brand division. There are many interesting stories in play as it relates to the draft. Roman Reigns' suspension will almost certainly have an effect on his positioning within the company. Where will he end up? Many expect that he'll land on Raw, which is most likely still the case. Another point of speculation revolves around Brock Lesnar and his recent USADA drug test violation leading into UFC 200. There's not a lot of information out about what he tested positive for and the penalties that will follow. Regardless, penalties could result in a ban that could prevent him from participating in another MMA fight in the foreseeable future. 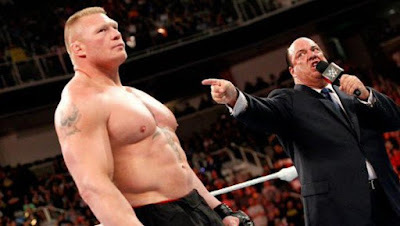 Depending on how the situation plays out, a ban handed out by the Nevada State Athletic Commission could also prevent Lesnar from working WWE shows in specific states that still govern professional wrestling through athletic commissions. This year's Summerslam takes place in New York, which could prove to be an issue for the already billed Lesnar/ Randy Orton match (Dave Meltzer, Wrestling Observer Newsletter). Many positive and negative stories have dominated the month of July as it relates to WWE. The draft will prove to be crucial to the company in both storyline and business.